The State of Dirickson Creek Report compiles scientific data to determine creek health and offer recommendations for the future. 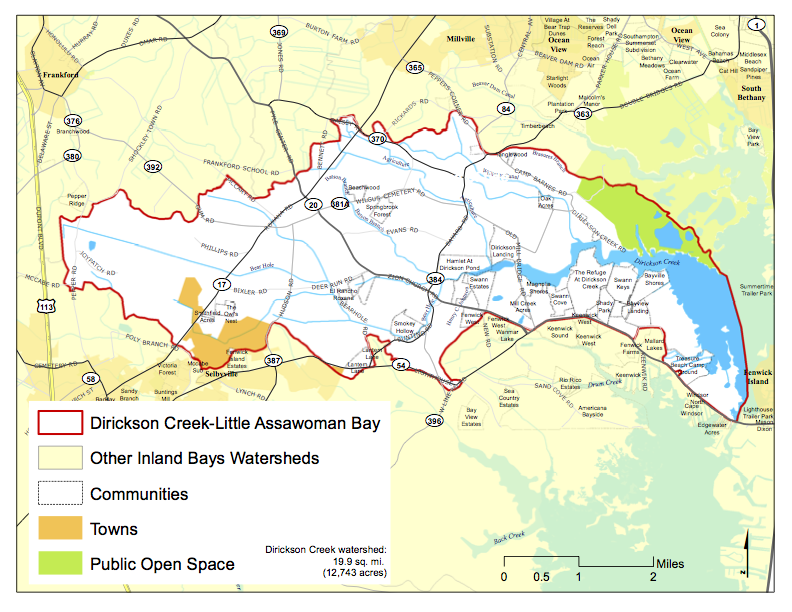 Dirickson Creek flows into Little Assawoman Bay at its southern end, just north of the state line near Fenwick Island. The watershed as a whole covers approximately 20 square miles and collects its waters primarily from agricultural ditches that drain the farmland to the west, and from groundwater that seeps into it. The land in the southern part of the Little Assawoman Bay Watershed, which includes Dirickson Creek, was once part of the Great Cypress Swamp that extended from the middle of the state to the Atlantic. As the land was settled in the 19th and early 20th centuries, agricultural ditches were dug to drain the land for farming, changing the look of the landscape and altering the flow of water into the creek. 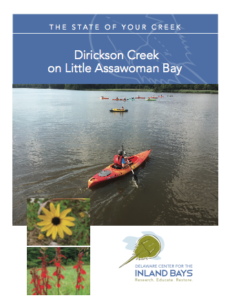 As agricultural land has given way to development around Dirickson Creek, the change in land use has given rise to new challenges, as outlined in the 2017 State of Dirickson Creek Report. 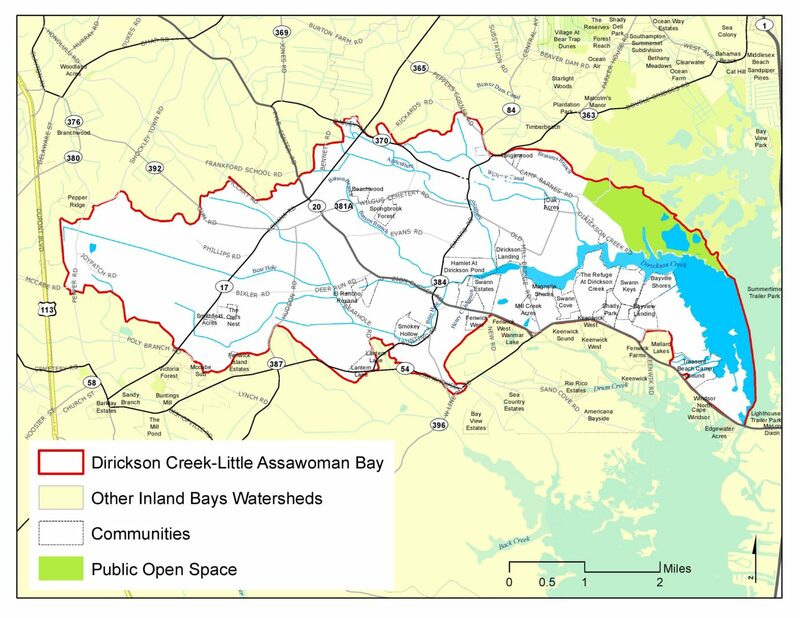 In 2015, the Dirickson Creek Team was formed: a group of residents in the Dirickson Creek area who are interested in working to improve water quality in their creek. Part of the Your Creek Initiative, this team is part of a multi-year project that will to connect residents to their creek and empower them to make positive changes in their communities. Live along the creek and want to get involved? Send us an email at outreach@inlandbays.org and tell us you want to “join the Dirickson Creek Team”! The team conducted a survey in 2015 to gauge creek use, public perception of creek health, and more! This information was then used to focus the 2017 State of Dirickson Creek Report. How did your neighbors answer? View the Dirickson Creek survey responses.